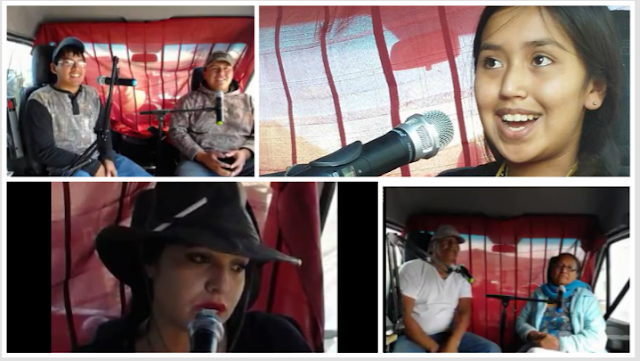 Recorded live by producer Govinda of Earthcycles, in Standing Rock Camp in Cannon Ball, North Dakota, where thousands have gathered to halt the Dakota Access Pipeline, now threatening to poison the peoples water source, the Missouri River. Waniya Locke, Standing Rock teacher and mother, on the front lines. Standing Rock Resistance Radio launches. Mekaski Camp Horinek, Ponca, describes the first days of the blockade at Sacred Stones Camp. Oak Flat: Apache Naelyn Pike and Apache Navajo youth delegation on Standing Rock. Michelle Cook, Dine’, member of the legal team in camp, shares her personal journey here at Standing Rock camp. Rosebud entrepreneurs: Two young Lakota men have been raising bees, and selling their honey for years, along with having traditional workshops. J.R. American Horse, shares origins of Camp of Sacred Stones. "All around us here are sacred stones, prayer stones." The smooth round stones are created by swirling of waters where the Cannon Ball and Missouri Rivers came together. Nearby, Big Lake was where the people once gathered. 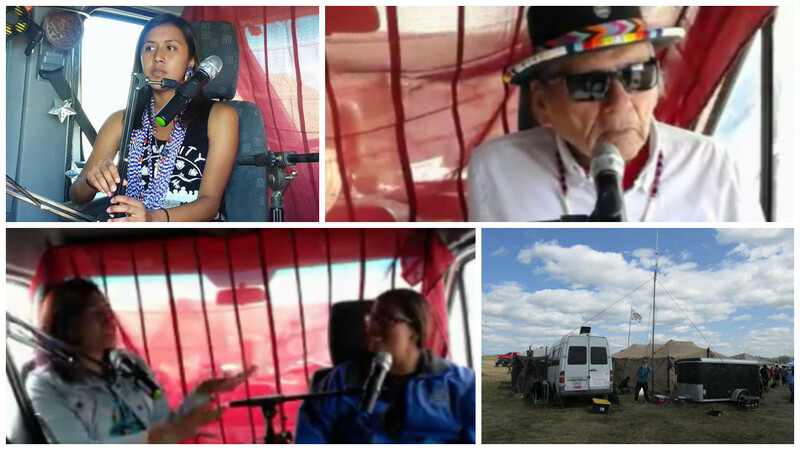 Dennis Banks, co-founder of the American Indian Movement, on Resistance Radio in camp. Tom Goldtooth, Indigenous Environmental Network, speaks on politics, fracking and oil fields. Tara Houska, attorney for Honor the Earth, live on Resistance Radio. Osprey Orielle Lake of WE CAN describes the roots of the Rights of Nature movement, Ecuador, Bolivia and now Congo. Carol Raffensperger, on the legal team, tells how the U.S. changed the flow of the water here, which once created smooth, sacred stones. Lakota elder speaks on healing with ceremonies and diet, and healing the trauma of boarding schools. Tlingit water and medicine songs. A Song for Grandma, and talks in camp. A Song for Women, A Song for Water, and talks in camp. Young Lakota women, now living in Flagstaff, Ariz., shares how her friends from college, Menominee in Wisconsin, helped her come home to defend the water.